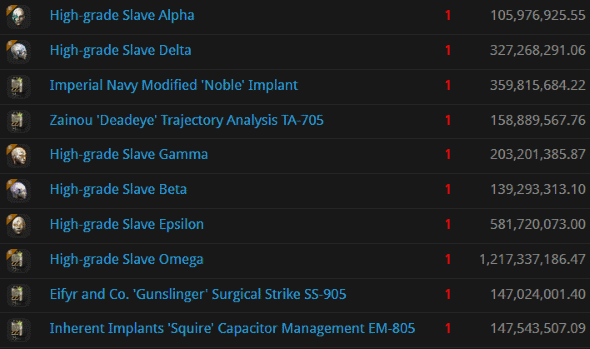 What a disaster of a week for the bot-aspirants of highsec! The anti-Code carebears were forced into a state of total disarray--which was quickly followed by panic. Countless ships were destroyed and permits sold. 'Twas a glorious sight to behold. The following is a mere sampling of our victories from the week of November 25th @ 00:00 EVEtime through December 1st @ 23:59 EVEtime. "I can't risk an expensive exhumer like a Hulk or Mackinaw," Nocturna Pareka must have thought to herself. "I'll settle for a cheap, affordable Retriever." But then Nocturna allowed herself to be tempted into blinging up the Retriever until it was worth over a billion isk. Agents Votre Dieu, Narl' Amhar, and Astrid Tyrfing slapped some sense into her. Look at all those blasters. Bloody Bear was eager to get into short-range combat with someone--or perhaps some PvE thing. Sadly, Bloody Bear didn't realize how much better the mighty CODE. alliance is at short-range combat. 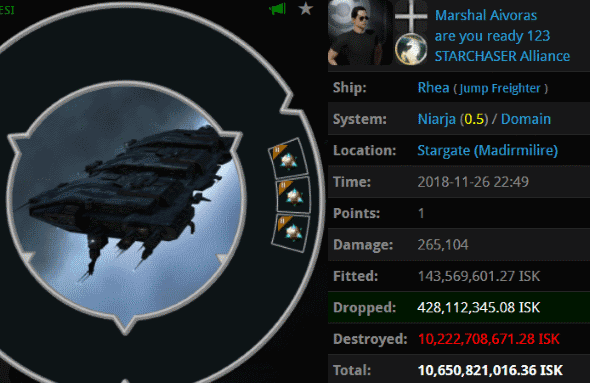 We're the best in EVE. Agents Jayson Kusion, Justin Kusion, Joel Kusion, Jake Kusion, Joseph Kusion, Jayden Kusion, Jason Kusion, Jeremy Kusion, Jacob Kusion, Jonas Kusion, Josh Kusion, Jeffery Kusion, Jackson Kusion, Jeremiah Kusion, Johnathan Kusion, HSM Vice Admiral, and Joshua Kusion showed this carebear how it's done. Wipt LotsaGold was too scared to fly a freighter. He was even more terrified of the Uedama system. But there's more than one way to lose a fortune in highsec. 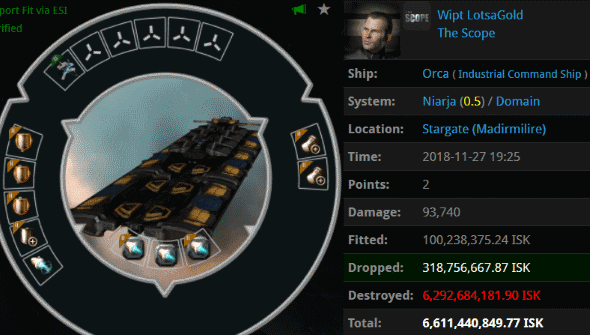 Wipt's 6.6 billion isk Orca was caught in Uedama's ugly cousin, the Niarja system. Agents iZaEaRl, Throatslashar, Spazmongloid, Mongochicken, Aine Earl, Ivor Boneless, Weejie, Ichabodi, Gandor Ironfist, and Elvir made Niarja a little nicer when they pulverized Wipt with a Talos squadron. Marshal Aivoras did something very foolish. Yes, he brought an unlicensed jump freighter into highsec--but that's not the foolish thing to which I refer. A dreadful mistake must have been made here. 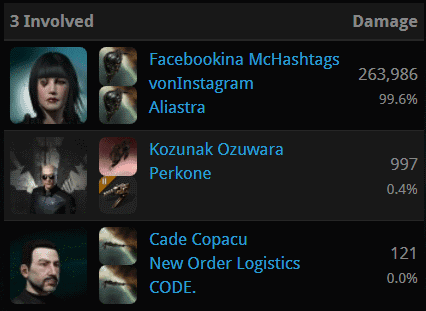 Agents Facebookina McHashtags vonInstagram, Kozunak Ozuwara, and Cade Copacu destroyed the 10.6 billion isk Rhea in admirable fashion. 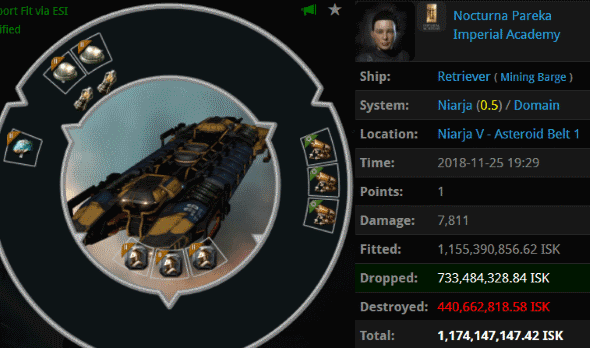 Marhsal's only cargo was a set of blingy cargo expanders. Yeah, that sounds about right. SARA ROTOR is one forgetful bot-aspirant. She completely forgot that Uedama belongs to those who give honour to the Code. Carebears only go there to get rekt. Agents Jason Kusion, Jonas Kusion, Josh Kusion, Jeffery Kusion, Jacob Kusion, Jeremy Kusion, Josiah Kusion, Jayden Kusion, Jack Kusion, Jeremiah Kusion, Joseph Kusion, Johnathan Kusion, Joshua Kusion, Jimmy Kusion, Jessie Kusion, Jayson Kusion, Jake Kusion, Joel Kusion, Justin Kusion, and Jackson Kusion proved once again why the Kusion name is feared, respected, and admired all across New Eden. 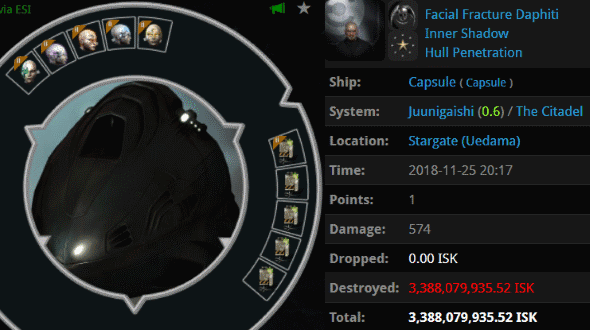 Facial Fracture Daphiti autopiloted in a Leopard shuttle worth just over 80 million isk. It died, as autopiloting shuttles do. The pod was left behind, floating silently next to one of Uedama's stargates. Half an hour later, Agent holdmybeer came by to clean up the mess. 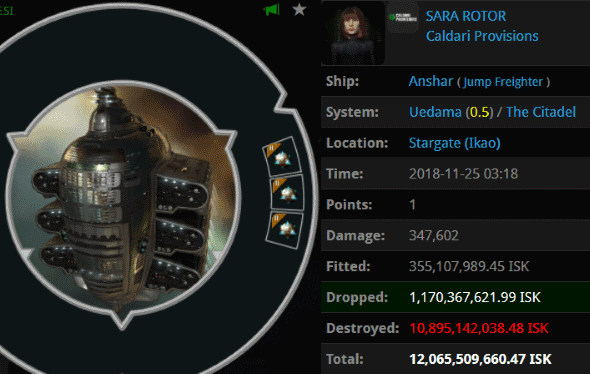 The mess was worth 3.3 billion isk. The owner of these implants obviously didn't care to look after them, so I suppose it's for the best that they're gone now. Wow! Those are some juicy kills. Praise James! Yay! 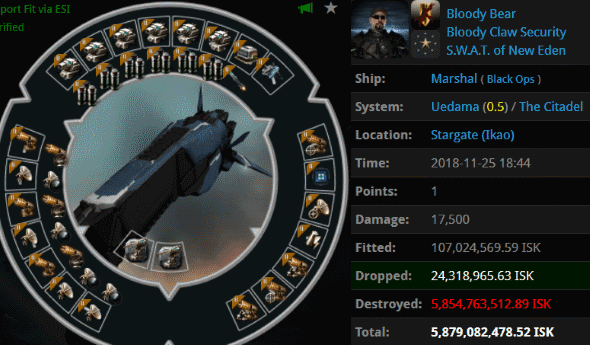 The Marshal pilot Bloody Bear is an unaffiliated anti-ganker. His favorite (and only) move is to cloak until a gank goes down and then reappear to whore on the CONCORD kills. He was outsmarted by Agent Kusion, dropping to 24% killboard efficiency. Heads up: the bot Apocalypses have made a comeback. They use Bot Mining Apocalypse fit with 23.3k EHP with Alpha skills, killable by two T2 cats with CONCORD pulled. They are located in Munory, Nafrivik, and Stayme.